The first stage of employment is onboarding, and it is vital for the employee, as it sets the stage for his or her employment with the company. Moreover, it’s proven that effective onboarding leads to increased engagement and retention. However, less than half of companies (48%) believe their onboarding process is even somewhat successful. 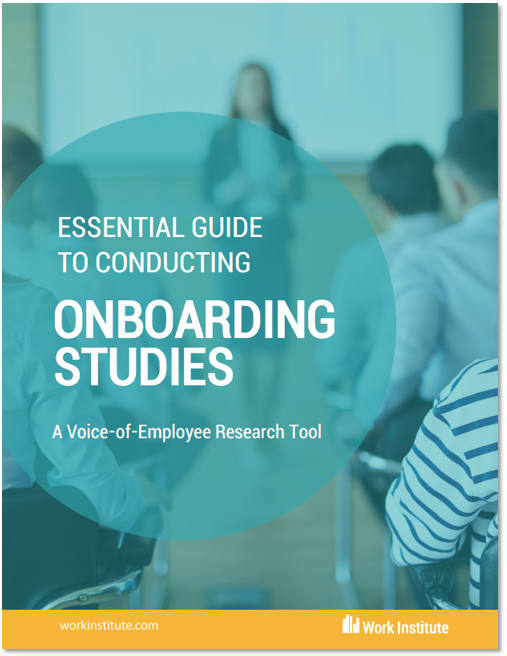 Conducted in the right way, Onboarding Studies can let new hires know that they have a voice, provide data to help improve the onboarding process and increase engagement and retention. What is an Onboarding Study? What are the Objectives of an Onboarding Study? How do I Conduct an Onboarding Study? When Should I Conduct an Onboarding Study? What Questions Should I Ask in an Onboarding Study? What are the Benefits of Conducting an Onboarding Study? Complete the format at right to get the Essential Guide to Onboarding Studies.